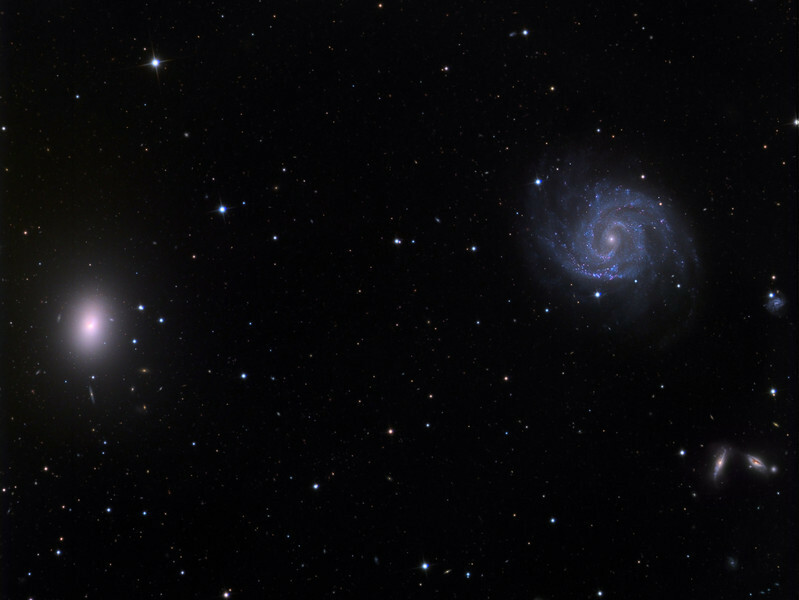 NGC1042 spiral galaxy (right) and NGC1052 elliptical galaxy (left). 32 inch Schulman telescope with STX camera on Mt. Lemmon, AZ. Data capture and reduction by Adam Block, University of Arizona. LRGB processing by JDS using CCDStack and Photoshop CS6.